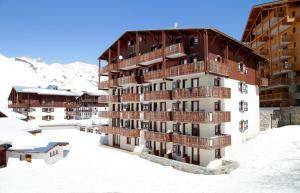 In the heart of Savoie and the RhÃ'ne-Alpes region, Tignes is one of the 233 winter sports resorts in France. Ski resort very popular with skiers, winter as summer, the resort offers many activities both outside and inside every month of the year. At an altitude of 2100 meters Tignes allows its tourists to enjoy all the benefits of the mountain. White or green landscapes, clean air and a calm atmosphere to make your stay a success. Whether you want to rest or relax Tignes is undoubtedly the ideal destination whether you are traveling alone, with family or friends. As part of the predecessors of winter sports resort, Tignes, whose fame is still little established before the Second World War, welcomed its first tourists from 1936 when it was At the time, it only has one ski pass. In 1946, then begins the construction of a dam that is called today "GÃ © ant de Tignes Â", at the top of the gorges of Boisses. Once the construction of the dam was completed in 1952, Old Tignes was buried under water. But stronger after this trial, Tignes got up and chose to build his winter sports resort at 2100 meters of altitude by choosing to bring closer skiable space and station for the comfort of the tourists . From the seventies, the station acquires an international reputation with skiers, beginners or professionals. It is thus that in 1992 Tignes hosts some events at the occasion of the Winter Olympic Games or games of Albertville and Savoy. Today Tignes is one of the most popular ski areas for ski and thrill-seekers and was crowned "Most Sporting City" in 2008 by the French magazine lâ € ™ tÃ ¢ â,¬â "¢. € ™ Team. With the status of "the most sporting city", Tignes is the host, since their creation in 2010, Winter X Games Europe rolling in March and during which it is compete against the greatest freestyle athletes during various events. Rich in 233 winter sports resorts, France is very popular with tourists from all over the world when it comes to staying in the mountains. Among all these resorts, Tignes offers the longest period of opening of ski area. In Tignes, the season starts in September and ends in May. During the first months of opening, skiers can take advantage of the 150 kilometers of tracks of Tignes. 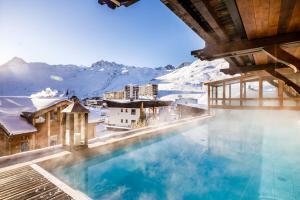 Subsequently, when the snow makes it possible to connect the resort of Tignes and that of Val d 'Isère, the two domains join each other to give birth each year to Espace Killy. stretching over 300 kilometers of tracks. The ski area has 22 green runs, 67 blue runs, 40 red runs and 26 black runs. There are also 9 slalom stadiums, 2 snowparks, a mogul stadium and a gliss park that make up the estate. To access these different trails and activities, there are 36 lifts available. Accessible to the most demanding, with five free zones and equipped to learn the basics of skiing at its own pace, as well as the most experienced, Tignes offers a wide range of outdoor activities during the summer. winter months. The most popular and most popular activity of the resorts is of course skiing. Nevertheless in Tignes there are many other activities to discover. More classic, such as the ice rink, snowshoeing, mountaineering, paragliding or snowmobiling, the most unusual, such as diving under ice, ice driving, helicopter, cruising and snowmobiling. Heel skiing, ice climbing, mountain biking on snow, trampoline bungee, snake gliss, snowkite or speedriding, there will be something for everyone. For the most entertaining and the fans of the thrill, Tignes offers you to ski on its exceptional off-piste, all without forgetting of course the rules of security to maximize its sensations and its pleasure. With more than forty stores on the station, it is very easy for you to get professional advice to rent the equipment for your level. The resort does not forget those who prefer to put après-ski rather than spatulas and offer them special ski lift passes for them. Also have the chance to admire magnificent panoramas or lunch at altitude. Thanks to its opening period, the longest among the opening periods of the French resorts, and its various summer activities, Tignes is an active city throughout the year. © e € ™ year. If you do not like the winter activities of the mountain or if you want to see Tignes in a different light, the resort will welcome you during the summer months to offer you Sports or relaxing days, always in the pure air of the mountain. As for winter activities, in the summer you will have the choice between traditional activities and more unexpected ones. Traditional activities include hiking, a sports beach, golf, paragliding, a skate park, a road bike, archery, trampoline, horse riding. Horse riding, tennis, fishing, an adventure trail and spaces dedicated to children or team sports. As for more exceptional activities, the resort offers summer skiing, a nautical base, the helicopter, the crazy airbag, the mountain bike airbag, the swimming whitewater rafting, kayaking, paintball, via ferrata or waterball. All ingredients are reunited to offer you an unforgettable stay. The reputation of Tignes concerning its appeal for the sport is no longer to be done. Do not forget to mention that the station is the destination of the players of the team of France of football to welcome the trainings before the cups of the world and the championships of Europe. It is also the team of Olympique Lyonnais who goes there to practice before each start of the season. There are no more doubts to have, Tignes is the preferred destination to host sports and thrills sports. To make the comfort of the tourists total, we have to specify that the use of the car within the station is very little useful. 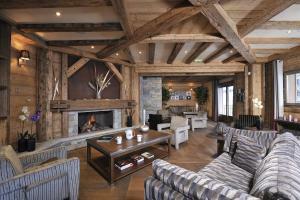 It is easier and more pleasant to get around on foot, whether to visit the city or to access the ski lifts. However if you prefer, there are many shuttles available to get from one point to another. The days in Tignes are well filled and you will not be bored. At the end of the day you will be able to ski down the slopes directly in the heart of the resort. After depositing your equipment while waiting for the next day, you have a wide choice of activities within the resort. Once again there is something for everyone, whether you are alone, with friends, as a couple or with your family. If you want to relax and unwind, do not hesitate to visit the aquatic area of ​​the resort to enjoy a spa or multiple facilities at your disposal. to unpack. Some hotels in the resort also offer you the opportunity to come and enjoy body or facial treatments. The only word of order: let yourself go and enjoy the benefits of the mountains and the outdoors. 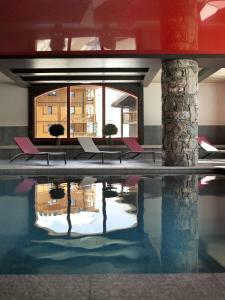 If you prefer another kind of entertainment, you will have the opportunity to go to the cinema of Tignes, play bowling or billiards, go to the games room or the library. than. In the evening you can visit one of the many restaurants of the resort to enjoy traditional cuisine, Savoyard specialties or to discover the cuisines of the world. 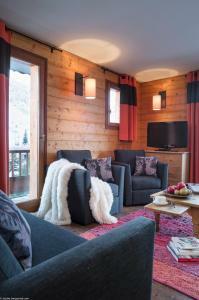 In Tignes, everything is done for you to enjoy your stay and to make it comfortable. And if you are not yet ready to join the arms of Morphée, the bars, brasseries and discotheques of the resort welcome you all year to come to share a moment with your loved ones in an atmosphere. ¨re warm but in decors and moods very different from each other. Whether you prefer rum stores, beer bars, theme nights or you want to spend on the dance floor, it's up to you to choose who fits you. FR-1-406-82 - Beau et grand 2 pièces situé dans un quartier calme de la station, proche des commerces, les pistes aux pieds de la résidence. Trés lumineux. FR-1-449-90 - Deux pieces exp sud a 500 M des pistes. If Tignes is a must for your winter or summer holidays, you must know how to get there. The easiest way will be the car. You need to take the A430 motorway then the N90 and finally the D902 to Tignes not forgetting that the passes of Petit-Saint-Bernard and Iseran are closed in winter (If you have a GPS, it is likely that it offers you a route that will make you borrow them). If you prefer to come by train to Bourg-St-Maurice or by plane to Lyon-Saint-Exupery, GenÃ¨ve or ChambÃ © ry, you will have to rent a car car or make the connection by taxi or coach. 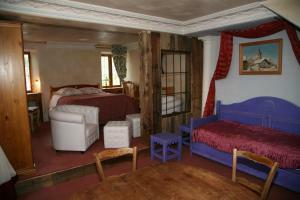 Finally, regarding the accommodation in the resort, you have several choices that submit to you. You can choose to stay in one of the twenty-two hotels in the resort, in one of the sixteen tourist residences or in one of the five chalets. Otherwise you can choose to rent an apartment directly from individuals putting their rental property. For the summer season you will also have the option of staying in a campsite. It's now up to you to choose the option that best fits your holiday idea to get the most out of your stay at the resort.